Meet Harley Quinn! This poor girl was taken away from her mom and litter mates way too early and given to a little kid before being surrendered to The Devoted Barn. 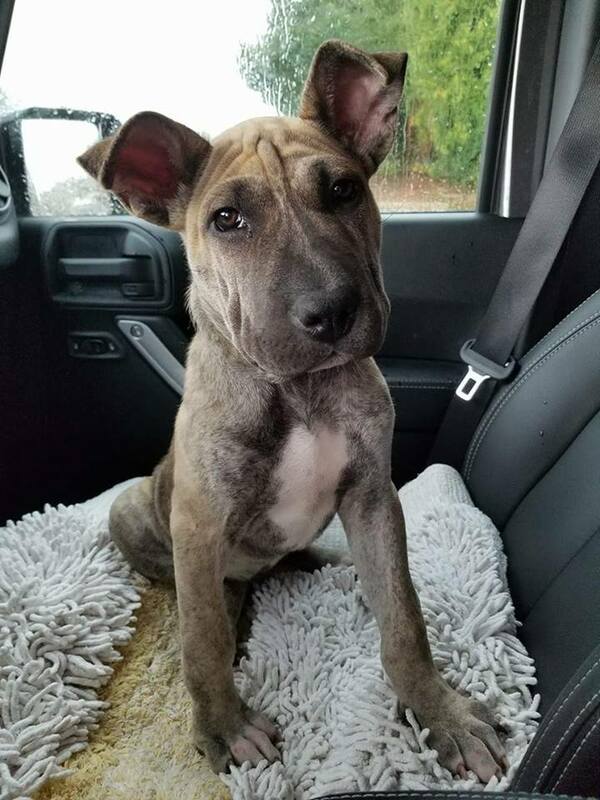 She was approximately 2.5-3 weeks when she came to us and has been spending her time with her fosters learning proper socialization and manners. She is rambunctious girl who excels at training and has quickly mastered sit, down, crawl, and high five! She's doing awesome with potty training although she does still have occasional accidents like any puppy. She has been in two homes with other dogs of all sizes and loves to make new furry friends. She has also been around children of all ages and loves to play! She loves to play with her flirt lure pole to release some energy and she REALLY LOVES the car!